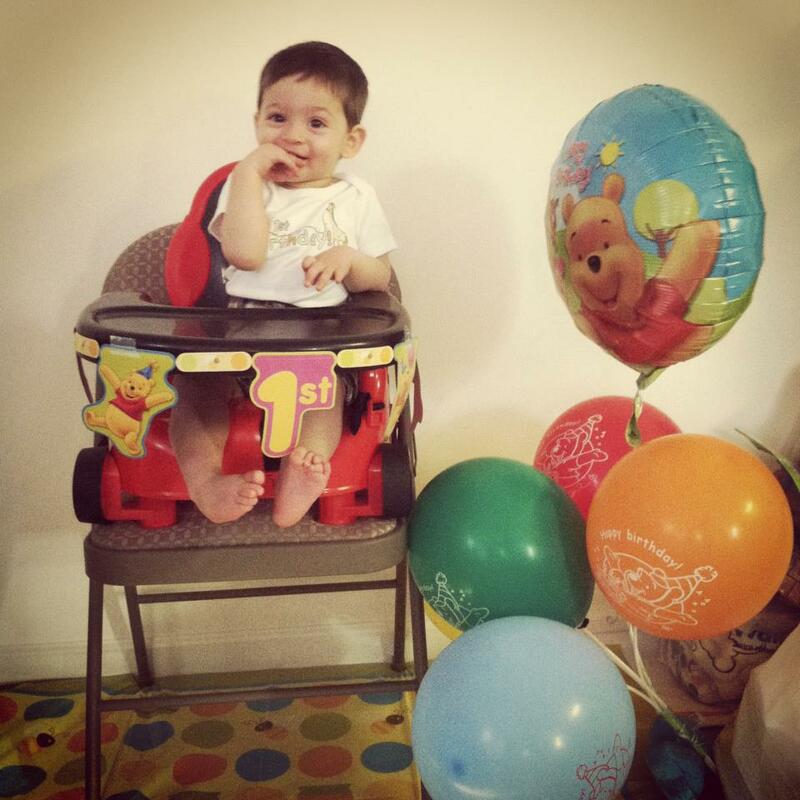 This week my family is celebrating my nephew’s first birthday. Last year this week the first grand child on my side of the family, the first boy on my sister-in-law’s side, came into the world, and has already made it a better place. Dare I say he is the glue that keeps our family together, and he isn’t even speaking yet. He has made some amazing strides and I’ve enjoyed watching him take baby steps in growing up. I have loved watching him giggle and explore his toys. I love the cute little outfits he wears that make him look like a little man. I love his beautiful blue eyes. I am amazed watching him learn and happily celebrate every little triumph. He has made everyone so happy. He has changed my family forever, for the better. And as he continues to grow, he will learn more and more each day. He will take more steps, start growing teeth, eating solid foods. He will talk. He will really and truly know me, almost as well as he knows his mother and father. He will likely become a big brother, and one day have more cousins from my side of the family. I know he will make a great cousin to my kids when I am ready. I’ve enjoyed watching my brother become a dad. It is crazy to me to sit next to him while he holds this beautiful boy who loves him so much. I think back to our childhood. I remember things that he did has a child and all of him that I see in this little boy is clear as day. He is a spitting image of his dad, with the light of his mom. They have created a safe, comfortable, and fun environment for him, and work hard to keep it that way. I look to them as models in how to balance work and a family life. I myself have enough trouble trying to balance my work life with my responsibilities in being an adult and still having time to enjoy not having the responsibilities a parent has. Watching this baby grow is inspiring, and watching first time parents so naturally nurture him gives me hope for future generations. Something that I’ve thought often about in my adult life is that most parents are first time parents. It isn’t easy to remember what it is like to be on the other side, begging to do grown up things while your parents hold you back, typically for your own good. Parents simply try to make the best decisions they can for their children, and while as kids we may think of our parents as gods — the ones who know everything, the truth is, just like the rest of us, they have to make it up as they go along. My nephew has a good family ready to help shape his values, and we have an amazing nephew to remind us of what really matters.